At the southern fringes of Troutbeck village lies Townend, a white washed farmhouse with mullioned windows built in the seventeenth century. The house was built in 1626 for George Browne, a 'statesman' (wealthy yeoman) farmer and his new bride, Susannah Rawlinson. and passed down through eleven generations of the Browne family. Since 1947, the house has been owned by the National Trust. Townend has the characterful tall towering chimneys which are characteristic of the local architecture. It was divided into two sections, one for living and one for work, and still retains much of its original oak furniture, carved woodwork, books, papers, and fascinating domestic implements largely accumulated by its former owners, the Browne family. 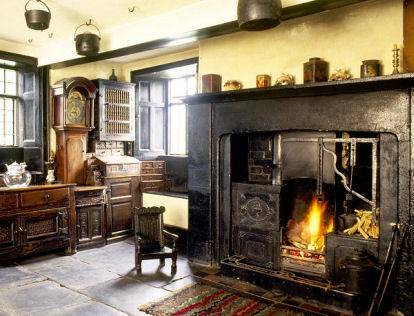 Townend's kitchen is unique, complete with its wooden chests and cupboards, and a handsome grandfather clock, pot, pans, and kettles hang from the beams on the ceiling. 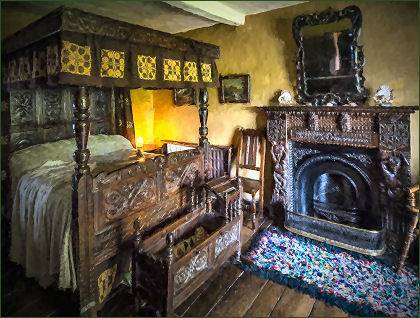 There is also a living history exhibition at the house were visitors can meet "George Browne" (c1900) who relates the story of the house and its inhabitants. Across the road stands a characterful old slate barn. 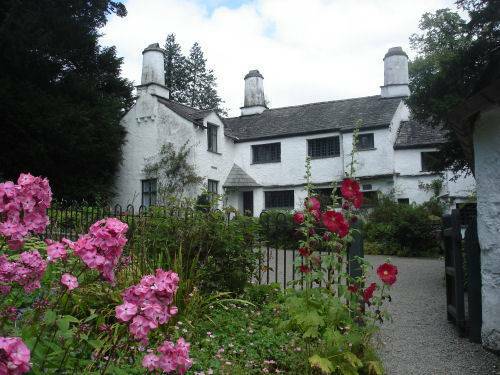 The location of the house is spectacular, it sits on the side of a hill looking across the Troutbeck Valley, a location that children's author Beatrix Potter declared was her favourite in the Lakes.